Experience is an important credential when choosing a physician, an attorney or a financial advisor. Professionals who seek excellence, who are well regarded by their clients and their profession, have the ability to craft solutions appropriate to their clients' needs. The Holzapfel Investment Group has advised generations of investors through all stages of accumulation, investment, distribution and wealth transition. Jim Holzapfel, Managing Director-Investment Officer, joined Kidder Peabody in 1971, and his office was acquired by a predecessor firm of Wells Fargo Advisors in 1988. Since then, our clients have reached us by the same phone number for some 43 years. 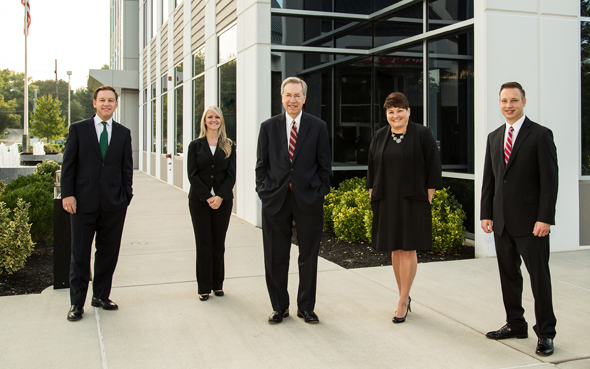 Our former associates, Weir Pollard, Lee Crawford, David Funsch, and Sue Parrish joined us over time and entrusted us with the care of their clients' assets. Karen Dattilio, Senior Registered Client Associate, and Richie Holzapfel, Financial Advisor, are team members within the practice who bring a wealth of experience and energy to our group. We feel fortunate to leverage the resources of a reputable firm in Wells Fargo Advisors, and a first-class service team to provide the work ethic, teamwork and perspective of one of Maryland's top financial advisors. Jim Holzapfel, has again been named to Barron's Top 1,200 Financial Advisors for 2017. Barron's Top 1,200 rankings are based on data provided by thousands of advisors. Factors included in the rankings were assets under management, revenue produced for the firm, regulatory record, quality of practice and philanthropic work. Investment performance isn't an explicit component.